Welcome to our website - we're glad you stopped by! If you arrived here from a search engine or a link from a forum, we'd like to invite you to take a look around the rest of our site after you learn all about LiPo batteries. At the end of the article, we'll have some links to other articles and reviews you may find interesting. But above all, please share this guide with anyone you know that needs help with their LiPo batteries. The more everyone knows, the safer the hobby can become - and that's good news for everyone. This guide, written over the course of years, has one sole aim: to educate hobbyists new and old about LiPo batteries with a focus on safety. The guide and I have been criticized over the years for "misleading" people on the dangers of LiPo batteries or the practices of charging, using, and storing them. Some of these criticisms were justified, and the guide changed to better reflect reality. Some of the attacks were not justified, and came from those in the industry whose business I was disrupting by recommending against certain practices. In those cases, the guide was not changed. My only interest in keeping those who come to us for guidance safe and educated, no exceptions. So read on, learn, ask questions, and be safe! LiPo batteries offer a wide array of benefits, but each user must decide if the benefits outweigh the drawbacks. For more and more people, they do. In my personal opinion, there is nothing to fear from LiPo batteries, so long as you follow the rules and treat the batteries with the respect they deserve. This guide was written after many hours of research. It is as accurate as I can make it without actually being a chemical engineer (though, in researching this article, I did talk to a few of them). That said, this guide isn't intended to be taken as definitive. It is a living document, and as common knowledge regarding LiPo batteries changes, so too will this guide. Let's first talk about the differences between LiPo batteries and their Nickel-Cadmium and Nickel-Metal Hydride counterparts. Much lighter weight, and can be made in almost any size or shape. Much higher capacities, allowing them to hold much more power. Much higher discharge rates, meaning they pack more punch. Much shorter lifespan; LiPos average only 150–250 cycles. The sensitive chemistry can lead to fire if the battery gets punctured. Need special care for charging, discharging, and storage. Simpler chargers and routines required for use. Much heavier, and limited on size. Lower average capacity, and less efficient overall. Lower discharge rates; they lack tremendous punch. They way we define any battery is through a ratings system. This allows us to compare the properties of a battery and help us determine which battery pack is suitable for the need at hand. There are three main ratings that you need to be aware of on a LiPo battery. So what does it all mean? Let's break it down and explain each one. I thought (mistakenly) that this was common knowledge, but after a handful of emails on the topic, it was clear I needed to clarify what nominal voltage is. I said that the capacity of the battery is like the fuel tank - which means the capacity determines how long you can run before you have to recharge. The higher the number, the longer the run time. Airplanes and helicopters don't really have a standard capacity, because they come in many different sizes, but for R/C cars and trucks, the average is 5000mAh - that is our most popular battery here in the store. But there are companies that make batteries with larger capacities. Traxxas even has one that is over 12000mAh! That's huge, but there is a downside to large capacities as well. The bigger the capacity, the bigger the physical size and weight of the battery. Another consideration is heat build up in the motor and speed control over such a long run. Unless periodically checked, you can easily burn up a motor if it isn't given enough time to cool down, and most people don't stop during a run to check their motor temps. Keep that in mind when picking up a battery with a large capacity. Q: Why do we use voltage, and not capacity, to determine how charged a battery is? A: The reason we use voltage, and not capacity to determine how charged a battery is stems from our difficulty in measuring capacity. Voltage is simple to measure — if you've ever used a voltmeter to measure a AA battery, you understand how trivial it is to measure voltage. Capacity, however, is nearly impossible to measure accurately. We can measure how much energy is going into a battery (at least somewhat accurately), but we can't measure how much is actually in the battery. Think of it like beakers of water. For voltage, the beaker is transparent, and we can easily see the amount of water in the beaker in the same way we can measure voltage whenever we like. On the other hand, we have the beaker representing capacity, and it's opaque — we can't see through it, and so the only way to know how much is inside is to empty it and measure the water (energy) as it's leaving the beaker (battery). Because amperage and voltage are intertwined, as we will discuss later in detail, the voltage of a battery does correlate, approximately, to the capacity left in the battery, and while there are times when the voltage can deceive you, in general, it's okay to rely on voltage as our primary measure of how full a battery is. This question was asked by Donald via email, and made complete sense to include my answer to him on the guide. Thanks, Donald! Voltage and Capacity had a direct impact on certain aspects of the vehicle, whether it's speed or run time. This makes them easy to understand. The Discharge Rating (I'll be referring to it as the C Rating from now on) is a bit harder to understand, and this has lead to it being the most over-hyped and misunderstood aspects of LiPo batteries. The resulting number is the maximum sustained load you can safely put on the battery. Going higher than that will result in, at best, the degradation of the battery at a faster than normal pace. At worst, it could burst into flames. So our example battery can handle a maximum continuous load of 250A. Most batteries today have two C Ratings: a Continuous Rating (which we've been discussing), and a Burst Rating. The Burst rating works the same way, except it is only applicable in 10-second bursts, not continuously. For example, the Burst Rating would come into play when accelerating a vehicle, but not when at a steady speed on a straight-away. The Burst Rating is almost always higher than the Continuous Rating. Batteries are usually compared using the Continuous Rating, not the Burst Rating. There is a lot of vitriolic comments on the Internet about what C Rating is best. Is it best to get the highest you can? Or should you get a C Rating that's just enough to cover your need? There isn't a simple answer. All I can give you is my take on the issue. When I set up a customer with a LiPo battery, I first find out what the maximum current his or her application will draw. Let's look at how that works. Let's assume that our example customer is purchasing a Slash VXL R/C truck. That motor, according to Traxxas, has a maximum continuous current draw of 65A and a burst draw of 100A. Knowing that, I can safely say that a 2S 5000mAh 20C LiPo will be sufficient, and will in fact have more power than we need. Remember, it has a maximum safe continuous discharge rating of 100A, more than enough to handle the 65A the Velineon motor will draw. Similarly, the Burst Rate of 150A easily covers the 100A the motor could draw. However, the ratings on the motor aren't the whole picture. The way the truck is geared, the terrain the truck is driving on, the size of the tires, the weight of the truck... all of these things have an impact on the final draw on the battery. It's very possible that the final draw on the battery is higher than the maximum motor draw. So having that little bit of overhead is crucial, because you can't easily figure out a hard number that the truck will never go over. For most applications, a 20C or 25C battery should be fine. But if you're driving a heavy truck, or you're geared up for racing, or you have a large motor for 3D flying applications, you should probably start around a 40C battery pack. But since there is no easy way to figure this out, I encourage you to talk to your local hobby shop to have them help determine which battery pack is right for your application. There is one very important rating we haven't talked about yet: Internal Resistance (or IR). Problem is, you won't find the IR rating anywhere on the battery. That's because the internal resistance of a battery changes over time, and sometimes because of the temperature. However, just because you can't read the rating on the battery doesn't mean it isn't important. In a way, the internal resistance is one of the most important ratings for a battery. To understand why the IR is important, we have to understand what it is. In simple terms, Internal Resistance is a measure of the difficulty a battery has delivering its energy to your motor and speed control (or whatever else you have a battery hooked up to). The higher the number, the harder it is for the energy to reach its preferred destination. The energy that doesn't "go all the way" is lost as heat. So the internal resistance is kind of a measure of the efficiency of the battery. Internal Resistance is measured in milliohms (mΩ). Suppose we have a 3S (3-cell) LiPo battery, and the measuring the cells independently yields these results. To find the total internal resistance for the battery pack, we would add up the values for the three cells. For a charger that measures the pack as a whole, all you would see is the 12 mΩ - the rest would be done for you - behind the scenes, as it were. Either way, the goal is to have the IR for the entire pack. The first reason internal resistance is important has to do with your battery's health. As a LiPo battery is used, a build up of Li2O forms on the inside terminals of the battery (we'll go more in depth on this later in the Discharging section). As that build up occurs, the IR goes up, making the battery less efficient. After many, many uses, the battery will simply wear out and be unable to hold on to any energy you put in during charging - most of it will be lost as heat. If you've ever seen a supposed fully charged battery discharge almost instantly, a high IR is probably to blame. So our battery would experience a tiny drop in voltage when a 1A load is applied. Considering our 3S LiPo is around 12.6V when fully charged, that's not a big deal, right? Well, let's see what happens when we increase the load to 10A. Now we see that when we increased the load 10X, we also increased the voltage drop 10X. But neither of these examples are very "real world". Let's use the Slash VXL from the previous section and plug those numbers in. If you recall, our Velineon motor has a maximum continuous current rating of 65A. Let's assume we manage to hit that mark when driving and use that. Wow, more than 3/4 of a volt! That's around 6.2% of the total voltage of our battery pack. Pretty respectable, but it's still a reasonable drop in voltage. "So, yeah, the voltage drops. But so what? What does that actually mean? How does it effect my R/C vehicle?" Well, let's continue on with our example to show you. See the drop in performance? That's the effect Ohm's Law has on our hobby. A lower internal resistance means your car or truck or airplane or boat or helicopter goes faster and has more power. This begs the question: how low should it be? Unfortunately, there's no easy answer for this. It's all dependant on your use case and battery. What is great for one battery may be terrible for another. Based on my online research, combined with my own experience and findings, I would say, as a general rule, a per cell rating of between 0-6 mΩ is as good as it gets. Between 7 and 12 mΩ is reasonable. 12 to 20 mΩ is where you start to see the signs of aging on a battery, and beyond 20mΩ per cell, you'll want to start thinking about retiring the battery pack. But this is only a guide - there is no hard rule set here. And if your charger doesn't give you the per cell measurements, you'll have to divide your total count by the number of cells in your battery to get an approximate per cell rating. There are many people out there that believe a higher C-Rating will make their vehicle perform better. We know from our previous discussion on C-Ratings that you need to account for the power draw your motor has when picking out the right C-Rating for your battery, but does more equal better? Many people say yes. But there isn't anything intrinsic to the C-Rating that substantiates their claims. It's simply not true that a higher C-Rating makes your car or airplane faster. However, there is a correlation between the C-Rating of a battery and the internal resistance of that battery. In general, batteries with a higher C-Rating also have a low internal resistance. This isn't always the case, as there are always variances in manufacturing, but the general idea seems to hold true, and a lower IR will make a car or airplane faster. This is a case of correlation not equalling causation. It's really the internal resistance making a battery faster, not the C-Rating. It's important to use a LiPo compatible charger for LiPos. As I said in the Introduction, LiPo batteries require specialized care. They charge using a system called CC/CV charging. It stands for Constant Current / Constant Voltage. Basically, the charger will keep the current, or charge rate, constant until the battery reaches its peak voltage (4.2v per cell in a battery pack). Then it will maintain that voltage, while reducing the current. On the other hand, NiMH and NiCd batteries charge best using a pulse charging method. Charging a LiPo battery in this way can have damaging effects, so it's important to have a LiPo-compatible charger. The second reason that you need a LiPo-compatible charger is balancing. Balancing is a term we use to describe the act of equalizing the voltage of each cell in a battery pack. We balance LiPo batteries to ensure each cell discharges the same amount. This helps with the performance of the battery. It is also crucial for safety reasons - but I'll get to that in the section on discharging. While there are stand-alone balancers on the market, I recommend purchasing a charger with built-in balancing capabilities, using a balance board like the one pictured to the right. This simplifies the process of balancing, and requires one less thing to be purchased. And with the price of chargers with built-in balancers coming down to very reasonable levels, I can't think of a reason you would not want to simplify your charging set up. We'll talk more about chargers in the next section. Most LiPo batteries come with a connector called a JST-XH connector on the balance tap. One of the big problems with this connector is it's lack of surface area; namely, one's inability to get a good grip on the connector. This makes it hard to unplug from a balance board, and a user usually just ends up pulling on the wires. This can break the connector, and potentially short out the battery. A unique product, called Balance Protector Clips (or AB Clips) is a great way to solve this problem. They clip around the balance connector, and give a user more space to grab on to the it. They are usually inexpensive, and a great way to prevent balance connector fatigue. To the left, you can see a balance connector with and without the Balance Protector Clips. Most LiPo batteries need to be charged rather slowly, compared to NiMH or NiCd batteries. While we would routinely charge a 3000mAh NiMH battery at four or five amps, a LiPo battery of the same capacity should be charged at no more than three amps. Just as the C Rating of a battery determines what the safe continuous discharge of the battery is, there is a C Rating for charging as well. For the vast majority of LiPos, the Charge Rate is 1C. The equation works the same way as the previous discharge rating, where 1000mAh = 1A. So, for a 3000mAh battery, we would want to charge at 3A, for a 5000mAh LiPo, we should set the charger at 5A, and for a 4500mAh pack, 4.5A is the correct charge rate. The safest charge rate for most LiPo batteries is 1C, or 1 x capacity of battery in Amps. However, more and more LiPo batteries are coming out these days that advertise faster charging capabilities, like the example battery we had above. On the battery, the label says it has a "3C Charge Rate". Given that the battery's capacity is 5000mAh, or 5 Amps, that means the battery can be safely charged at a maximum of 15 Amps! While it's best to default at a 1C charge rate, always defer to the battery's labeling itself to determine the maximum safe charge rate. Due to the potential for fire when using LiPo batteries, regardless of the likelihood, certain precautions should be taken. Always have a fire extinguisher nearby; it won't put out a LiPo fire (as I will further explain below, LiPo fires are chemical reactions and are very hard to put out). But a fire extinguisher will contain the fire and stop it from spreading. I prefer a CO2 (Carbon Dioxide) extinguisher - it helps to remove oxygen from the burn site, and will also cool down the battery and surrounding items. Another safety precaution is to charge the LiPo in a fire-resistant container. Most people opt toward the LiPo Bags on the market today, like the one pictured to the left. They are a bit pricy, but are more portable than other solutions. Finally, never charge your LiPo batteries unattended! If something does happen, you needs to be around to react quickly. While you don't have to always be in the same room, you shouldn't leave the house, or go mow the lawn, or anything else that will prevent you from taking action should the battery catch fire. At the time of this writing, I consider the Dynamite Passport P1 Mini Charger (pictured to the left) to be one of the best values on the market. It's a multi-chemistry charger, which means it can charge NiMH, NiCd, and Lead Acid batteries as well as LiPo batteries. It can even charge the newest LiFe batteries that some use for receiver packs in airplanes and cars. It has a built-in balancer that handles up to 4S LiPo batteries, and can charge up to six amps. It's a great charger for the price. It's not as high-power as some LiPo users may need, though, since it only operates at 60 watts. So higher cell count batteries may not charge very fast on the P1. If you need to charge multiple batteries at the same time, the Dynamite Prophet Sport Quad 50W charger is probably the best bet. Priced around $190, it has all the capabilities of the KX80, but with four independent 50W charge ports. This means you can charge up to four batteries at one time! If you need more wattage, the Dynamite Prophet Sport Quad 100W is the way to go, with four 100W charge ports. In fact, we use the 100W version as our go-to charger here in the store. If you have large capacity batteries, large cell counts, or higher charging rates, you may want to find a charger that operates on higher wattages. As mentioned, the P1 Passport AC/DC charger works on 60 watts (60W). Each port on the Dynamite quad charger is 50W, and they also have that 100W version. What does this mean to you? Well, let's look at how watts, amps, and voltage work together. See, wattage, voltage, and amperage are intertwined. You can convert voltage to amperage, and vice-versa. This is important in determining what kind of charger you need. Let me show you how. So the formula is saying that if we want to charge our 6S 5000mAh LiPo pack at 5 Amps, we would need a charger that is capable of delivering at least 111 Watts of power. Our Kinexsis KX80 can only deliver 80 Watts. So you can see why a higher wattage charger might be important if you want to charge larger batteries quickly. For these kinds of chargers, right now I'd have to recommend the Dynamite Passport Ultra Force 220W Touch. (pictured left). Like the Kinexsis KX80, it's a single-port, multi-chemistry charger. Unlike the KX80, though, it is capable of a whopping 220-Watt output, and a charge rate of up to 15A. Better yet, unlike many similar chargers of this power, the Passport Ultra Force is AC/DC, so there's no additional power supply to purchase! As always, it's best to talk to your local hobby shop and have them set you up with a charger that will fit your needs. Local support is always a handy thing! A wonderful gentleman from the Netherlands contacted me recently asking about parallel charging versus series charging. He wanted to know how best to charge six of his single-cell LiPo batteries at the same time. Parallel charging adapters are readily available, so that must be the best way, right? Absolutely not! Parallel charging can be very dangerous. Even experts from well-known battery manufacturers "consider parallel pack charging to be highly dangerous and should not be attempted even by experienced users". The problem with parallel charging (or even using your batteries in parallel) is that, when hooking up batteries in parallel, you are doubling the capacity of the batteries while, and this is important, maintaining the voltage of one of the individual batteries. What this means is that your charger, which normally monitors the battery while charging to prevent overcharging, cannot see all of the individual batteries' voltages - it can only see one. Another problem with parallel charging is the inequality of the batteries. If the two batteries (and the cells contained therein) were from the exact same production lot, had the exact same chemical composition and age and charge history and everything else - in other words, if they were completely identical - parallel charging would be okay. But a consumer (that's you) will never be able to replicate those conditions, or even come close. The more those parameters differ, and considering the questionable balance charging techniques that many battery chargers use, the higher the chance of over charging and thermal runaway (more on that in the next section). But what about batteries that are built in parallel? Doesn't the fact that batteries are sometime constructed in parallel mean that parallel charging is safe? Like I said before, if you can match all those parameters to be identical, parallel charging is okay. At the factory where they make the packs, manufacturers are constantly monitoring and testing the materials that make up the cells. Each cell is labelled with a UPC code that contains the entire chemical makeup and history for that cell. When a manufacturer assembles a battery, a computer scans and sorts the cells into compatible matches. Only then is it safe to parallel charge these cells. However, when you charge a LiPo battery at home, even if it is already constructed in parallel, you don't need any fancy parallel charging boards - the work is already done for you, and you simply need to charge it as you would a normal battery. Please, please, don't use parallel charging cords. There is no safe way to use these. Parallel charging simply tempts fate. You will be able to find thousands of successful attempts to parallel charge batteries around the web. These are simply people that have not yet managed to burn their home down. Every battery expert I have talked to agrees on this. Series charging is the safer of the two methods (meaning it's no less dangerous than straight-up normal charging) IF you set up your charger the right way. If you want to charge six single-cell LiPo batteries — that are all the same capacity — you can wire them up in series, set up your charger as if it were a six-cell LiPo, and balance charge your LiPos. The act of balance charging them is essentially making the charger individually charge each cell, making sure they are all kept at safe levels. If you only have a single-port charger, series charging is the only safe way to charge multiple batteries at the same time, but wiring them up properly is pretty complex and not something a beginner should attempt. And the absolute best way to charge multiple batteries at the same time is to have a multi-port charger, like the Dynamite Prophet Sport Quad mentioned above. If you find yourself needing to charge many batteries at once, do the smart thing and purchase a charger (or chargers) that will fit your needs. And thanks to Thiemo for the question! LiPo batteries offer plenty of power and runtime for us radio control enthusiasts, but that power and runtime comes at a price. LiPo batteries are capable of catching fire if not used properly - they are much more delicate than the older NiMH/NiCd batteries. The problem comes from the chemistry of the battery itself. Lithium-Polymer batteries contain lithium, an alkali metal, which reacts with water and combusts. When heated, Lithium also combusts when reacting with oxygen. The process of using the battery, in the sometimes extreme ways that we do in the R/C world, causes there to be excess atoms of Oxygen and excess atoms of Lithium on either end (the cathode or anode) of the battery. This can and does cause Lithium Oxide (Li2O) to build up on the anode or cathode. Lithium Oxide is basically lithium corrosion, or lithium “rust”. The Li2O causes the internal resistance of the battery to increase. The practical result of higher internal resistance is that the battery will heat up more during use. Heat causes the excess oxygen to build up, and eventually the LiPo pack begins to swell. This is a good time to stop using the battery - its trying to tell you that it has come to the end of its life. Further use can be dangerous. After the pack has swollen, continued use can cause even more heat to be generated. At this point, a process called Thermal Runaway occurs. However, even if you stop using the battery when it swells, you still have to render it safe (a process I'll get into later on in the LiPo Disposal section). If you puncture a LiPo that has swollen and still has a charge, it can still catch fire. This is because the unstable bonds that exist in a charged battery are in search of a more stable state of existence. That's how a battery works; you destroy a stable chemical bond to create an unstable chemical bond. Unstable bonds are more apt to release their energy in the pursuit of a more stable bond. The entire process of building up that lithium oxide, in a perfect world, takes around 300-400 charge/discharge cycles to reach a tipping point. A typical lifetime of a LiPo battery is closer to 150-250 cycles, because when we heat the batteries up during a run, or discharge them lower than 3.0 volts per cell, or physically damage them in any way, or allow water to enter the batteries (and I mean inside the foil wrapping), it reduces the life of the battery, and hastens the build up of Li2O. In light of this, most manufacturers have taken to putting a Low Voltage Cutoff (LVC) on their speed controls. The LVC detects the voltage of the battery, and divides that voltage by the cell count of the battery. So it would see a fully charged 2S LiPo as 8.4V, or 4.2V per cell. This is where the advantage of balancing comes in. Because the speed control does not read off the balance tap, it cannot know the exact voltages of each cell within the battery. The speed control can only assume that the cells of the battery are all equal. This is important because, as I mentioned above, discharging a LiPo cell lower than 3.0V causes a usually permanent degradation of the cell's ability to absorb and retain a charge. The LVC works to cut-off the motor of the vehicle (or in some cases, pulse the motor) to alert you to a nearly-depleted battery pack. It uses the total voltage of the battery as its reference. Most LVCs cut-off around 3.2V per cell. For our two-cell example battery, that would be 6.4V. But if our battery isn't balanced, it's possible for the total voltage to be above the cutoff threshold, yet still have a cell below the 3.0V danger zone. One cell could be 3.9V, while the other could be a 2.8V. That's a total of 6.7V, which means the cut-off would not engage. The vehicle would continue to operate, allowing you to further degrade the battery. That's why balancing is so important. So when running your LiPo, make sure you have the Low Voltage Cutoff enabled, set up correctly, and certainly don't continue to run it after the LVC has kicked in! It may be a slight nuisance, but it's worth enduring so that your LiPo batteries remain in good health. It's worth noting that most helicopter speed controls and some airplane speed controls do not have a Low Voltage Cutoff, as disabling the motor in mid-air wouldn't be a good idea. For these kinds of applications, it's best to set a conservative timer (some aircraft radio systems have a timer function built in) and land when the timer goes off. Whether your R/C vehicle has a LVC or not, it's not a good idea to fly until the battery dies! In the old days, we used to run our cars or airplanes until the batteries died, then just set the batteries on the shelf at home, waiting for the next time we could use them. We just stored them dead. But you should not do that with LiPo batteries. Nor should LiPo batteries be stored at full charge, either. For the longest life of the batteries, LiPos should be stored at room temperature at 3.8V per cell. Most modern computerized chargers have a LiPo Storage function that will either charge the batteries up to that voltage, or discharge them down to that voltage, whichever is necessary. I recommend to our customers that they put their LiPo batteries in storage mode after every run. This isn't necessary per se, but it does build up good habits. If you do it every time, you don't have to worry about whether or not you remembered to put it in storage. I have had many customers come to me with batteries that died because they charged it up, intending to use it, but life got in the way and they never remembered to put it back to storage voltage. Lithium-Polymer batteries can be damaged by sitting fully charged for as little as a week. This doesn't mean they will get damaged every time you leave them for over a week. It just means they can, and I've seen it happen. So don't forget to put your LiPos at storage voltage when you're done using them. They should also be stored in a fireproof container of some sort. As I mentioned above, most people tend toward leaving their LiPos in a LiPo bag, as they are portable and protect your workshop from catching fire should the LiPo combust. I have also seen people use empty ammo boxes, fireproof safes, and ceramic flower pots. Whatever you have (or can buy) that will prevent any fire from spreading will be worth it in the unlikely event that anything untoward should happen. I feel the need to reiterate: the most common problem people have with LiPo batteries is a direct result of improper storage. When a LiPo battery sits for a long period of time (and not at proper storage voltage), it tends to discharge itself. If it drops below 3.0V per cell, the vast majority of LiPo chargers will not charge it. Sometimes, batteries with this problem can be rehabilitated, but just as often, they are a lost cause. So again: if you take a 'laissez-faire' approach to the storage of your LiPo batteries, it's entirely likely that you will be purchasing new batteries sooner than you think. Before disposing of your LiPo, check to make sure the warranty has expired. Some companies have one-year replacement warranties that you can take advantage of, but most warranties will be voided if you perform the following steps before seeking a warranty replacement. Julian, from California, emailed me to let me know that, in California, all batteries must be recycled at an authorized battery recycler, so don't throw your LiPo battery in the trash after discharging it - seek out a recycler. For more information, see http://www.calrecycle.ca.gov/reducewaste/Batteries/. LiPo batteries have all sorts of power just waiting to be unleashed, and we want as much of that power to reach the motor as possible. But all too frequently, I have customers come in with a great LiPo battery attached to a terrible connector. Bad connectors increase resistance and prevent all that power from being used efficiently. So while it's not specifically about LiPo batteries, let's talk about connectors a little. Traxxas' High Current Connectors have been gaining in popularity over the last few years. These are seen mostly on R/C cars and trucks, though some airplane enthusiasts have switched over to them as well. The main appeal of these connectors are the ease of assembly. The terminals are separate from the plastic housing, making them easier for novices to solder. They don't require heat shrink, as the plastic housing shrouds the terminals completely. They are polarity protected, so they can't be plugged in backward. Finally, they have the most surface area of any of the high current connectors, and are probably the easiest connectors to slide together and apart. Recently, Traxxas locked their connectors down, and now only they can produce batteries with these connectors. Deans Connectors are really the king of connectors. They've been around seemingly forever, and have been the top choice for the discerning R/C enthusiast for quite some time now. They are somewhat difficult to solder, especially for novice users. Deans connectors slide together smoothly, and are very well designed. Like almost every modern connector, they are polarity protected. Currently, they are neck-and-neck with Traxxas connectors for the title of most popular connector - Traxxas has the edge in the R/C surface category, but Deans dominates in the air. Only through the shear force of Tamiya's market share did these connectors take on their name. Originally called a 'Molex' connector, these connectors were the de facto standard of the hobby industry for years. Popularized by Tamiya in their bazillion R/C cars, these connectors came on every vehicle until very, very recently. Even today, some R/C manufacturers still use the Tamiya connector on their vehicles (Axial, I'm looking at you). This is a terrible connector with lots of resistance. You are more likely to melt these connectors than anything else. If you have a LiPo that has a Tamiya connector on it, cut it off and solder on one of the above connectors. EC3 connectors came onto the scene because Horizon Hobby was looking for a connector to replace the Tamiya connector as its standard plug. So the story goes, Horizon approached Deans with the intent to license the connectors and obtain them at a bulk rate (so they could install them on their batteries at the factory). Deans refused to be "reasonable" in negotiations, so Horizon was left to come up with an alternative. They found the EC3 and licensed that connector. From there, it's no surprise that the EC3 spread like wildfire. While they aren't much fun to assemble, they have a sizeable foothold in the R/C airplane market. These connectors were wide-spread in the early days of radio control. As most of our stuff is borrowed from other industries, Anderson Power Poles are no different. Originally designed by the ham radio industry for their 12V DC standard connector, they were quickly adopted in the radio control community. Power Poles are the only plug on this list that is hermaphroditic, meaning that the plug is neither male or female. They are all the same - so no worrying about which gender plug goes on the battery or the speed control. They're much rarer in the R/C world today, but they are probably my favorite plug. They do take up a lot of room, though, and as such, may not be useful in many applications. Venom's offering to the connector world sounded really great on paper. When they were announced, I was quite excited about the idea of having a connector that would interface with the four most popular connectors on the market. However, when they came out and I got to see them in person... Let's just say that we pretty much always cut off the Venom connectors to solder on the connector that our customer is actually using. The Venom connectors come with adapters to interface with Traxxas, Tamiya, Deans, and EC3 plugs. None of these adapters work particularly well in my experience. The only reason I bring them up is because they come standard on all Venom's batteries. XT-60s have gained a little bit of ground in the last few years. So far as I can tell, they were developed by a Chinese company called AMASS, and then HobbyKing either purchased or licensed the patent from them. But whatever their origin story is, the XT-60 connector is getting some adoption due to their prevalence on the LiPo batteries coming directly out of China. As far as I know, there aren't many domestic battery manufacturers that use the XT-60 plug as their default. I do like the plug; it's easy to solder to. It's relatively small and compact as well. It's not my favorite, but I don't mind these connectors. You could do worse. These are the most common connectors today. Other connectors have come out in recent years, but their adoption rate is minimal. Of the above connectors, the only ones you want to avoid are the Tamiya and Venom connectors. Other than that, go with whatever connector makes sense for what you're doing - if Bind-N-Fly Parkzone airplanes are your thing, it makes sense to use all EC3 connectors, as that is what all those airplanes come with. If you run Traxxas trucks, well, Traxxas connectors are an obvious fit. Most of the above plugs have similar specs, so go with what your vehicles come with. Don't make it more complicated than it has to be! Now let's talk about balancing plugs. There are many different plugs here as well, but there are only two main plugs. This plug is as close to an industry standard as we will ever have in a balance plug. It comes on almost all the major brands, from Traxxas and Venom to E-Flite and Duratrax. Most of the cheap battery places out of China use this plug as well. While it's not quite as nice as the Thunder Power plug below, it's ubiquitous, and that makes it the logical choice for these brands. There are very few manufacturers that don't use the JST-XH plug for their balance lead. Just make sure to unplug it by grasping the plastic housing. Pulling on the wires will almost certainly pull the wires out of the housing, potentially shorting the battery out. I bemoaned Thunder Power's choice of balance connector for years. Thunder Power makes some of the nicest (and most expensive) LiPo packs in the industry, but their connector is not compatible with 95% of the chargers on the market, at least out of the box (most chargers will require an adapter from the more common JST-XH to the TP connector). That having been said, it's a nicer design, with a little clip on the top of the plug, allowing the user to unplug the connector much more easily. 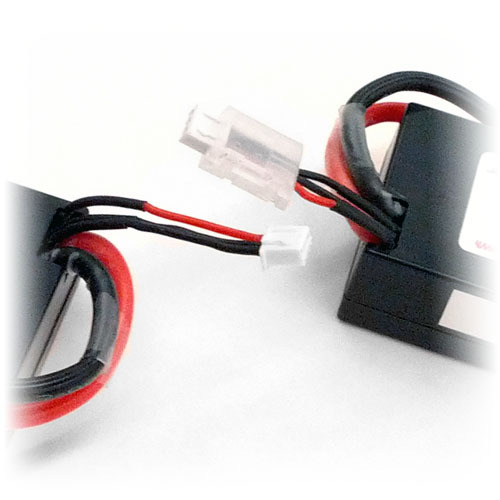 It's hard for me to recommend this connector, as it's only used on Thunder Power and Flite Power battery packs. But I'll begrudgingly admit it's a better plug than the JST-XH. Another reader, Aaron, emailed me, suggesting a section on soldering — what to do, what not to do, etc. I thought this sounded like a great idea. Soldering is as much an art as it is a tool, and there is a right way to solder when you're talking about battery packs. Never Cut Your Positive and Negative Wires at the Same Time: This is a great way to damage your battery pack and risk a fire. Cutting both wires at the same time will short out the battery pack, which will generate a lot of heat. Think of it this way — when a welder completes a circuit and welds two pieces of metal together, that's called Arc Welding — and the same principal is at play in Arc Welding as it would be when you touch positive and negative on your battery together. Cut, solder, and heat-shrink (if necessary) one wire at a time. It might take a little longer, but it's far and away the safest way to solder a battery. Get Your Polarity Right: One sure-fire way to destroy a speed control is to solder your connector on backwards. Reversing the polarity is never a good idea. Be mindful of the markings on the connector — most brands include a simple "+" for positive and "-" for negative to indicate which contact is which. Red is positive and black is negative. If your battery or speed control (or whatever you happen to be soldering) doesn't use the red/black paradigm, usually the lightest color wire is positive and the darkest is negative. If both wires are black, look for one of them to have white dashes on it — that's the positive wire. Those are some basic safety tips on soldering. If you're not happy with your ability to solder, keep at it! I went from the worst solderer in our store to the best simply by practicing and taking pride in my work. Like I said above, soldering is as much an art as it is a tool. Keep working at it and eventually you'll be amazed at how nice your solder joints look! Thanks to Aaron for the suggestion! So there you have it - now you know most of what you need to know about LiPo batteries. I make no claims that this article teaches you everything there is to know about LiPos, but hopefully it helps give you some insight into how they work. LiPo batteries have the potential to overtake NiMH batteries in general use in the next few years, quicker than any battery in history. It is certainly an exciting time for the hobby, and things are changing on a frequent basis. Just remember to have fun, and if you don't know something, ask questions! The only dumb question is the one you don't ask! This guide is a living document. As such, it will change as new information comes out regarding any relevant topic this guide covers. This is a list of changes and updates made to this guide. 12/24/12 - Guide moved to new URL. 01/25/14 - Guide revamped and re-organized; added section on chargers; added XT-60s to connector section; updated images. 02/26/14 - Added section on parallel vs. series charging. 03/29/14 - Added section on internal resistance. 03/02/15 - Removed section on parallel vs. series charging due to concerns of inaccuracy. Will be re-instated at a later date. 03/04/15 - Reinstated parallel vs series charging section. Inaccuracy criticisms proved to be false. 04/18/15 - Updated parallel vs. series charging to reflect that all batteries must be same capacity to series charge. 07/31/15 - Added section on soldering. 06/01/16 - Added section on nominal voltage. 02/24/17 - Added section on California battery recycling laws. 03/24/17 - Added subsection "Why do we use voltage, and not capacity, to determine how charged a battery is?". 12/20/18 - Edited for brevity and clarity. Check out our Charger Guides for help using your charger! 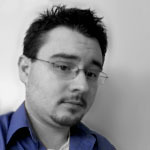 Brian Schneider / Brian is the manager, webmaster, & social media guru for Roger's Hobby Center. He's been in the hobby industry over a decade, teaching people the essentials of the R/C world. He's written a number of helpful guides, including A Guide to LiPo Batteries.